Downtown Athens North of the Court House behind Limestone Drugs. Our mission is to become your first choice for all your insurance needs by establishing a personal relationship with you & helping you understand the risks you face every day. 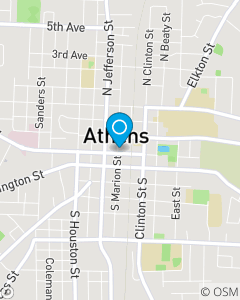 We focus on Auto Insurance, Home Insurance, Renter's Insurance, Life Insurance, and Business/Commercial Insurance throughout the Athens, AL area. When the unfortunate incidents occur we pledge to be there to assist you through the good & bad. Stop by our office to meet our highly experienced and super friendly staff. Vickie Horton, Kristie Toone, Angela Fussell and Mayela Flores.